Hazelwood Amber Baby & Child Necklace 11" & 13"
Always make sure the necklace is in contact with skin. 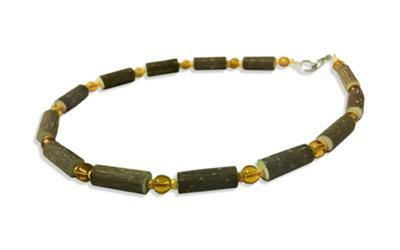 Our hazel tree necklaces are therapeutic jewelry. They are not to be compared with teething rings in which babies would bite. Our necklaces are not meant to go in your child’s mouth at any time, under no circumstance. At no time should the hazel tree necklaces reach the mouth.